Trying out Barilla’s spinach and ricotta tortellini. Sauteed some prosciutto with onions to add flavour and topped off with basil and parmigiano. 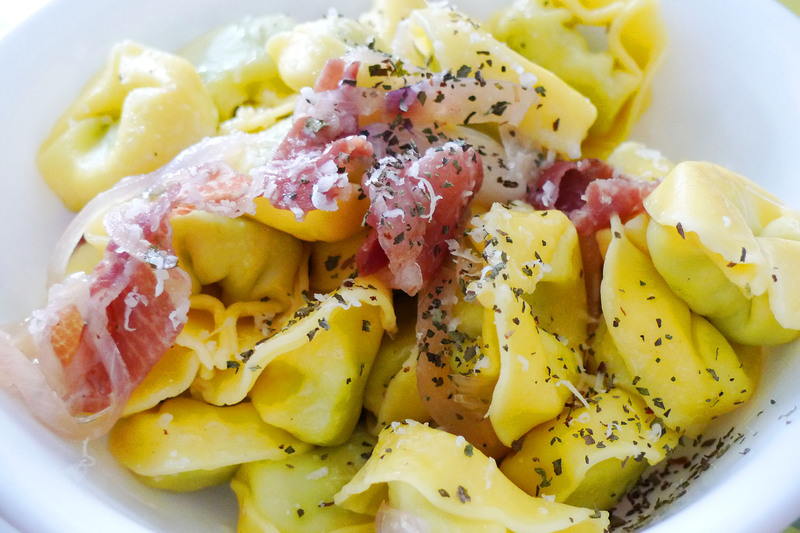 The taste was good but I should have tossed it with the prosciutto more to let the fats coat the tortellini. But I guess everything goes well with bacon!